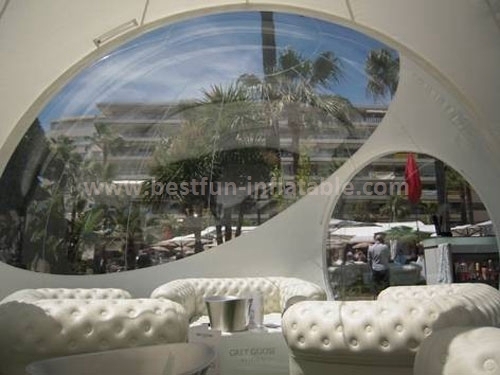 New style customized inflatable bubble tree tent was voluntarily designed with the goal to offer a dreamy space without disturbing the nature and the environment. The New style customized inflatable bubble tree tent and its walls were reduced at their minimum. 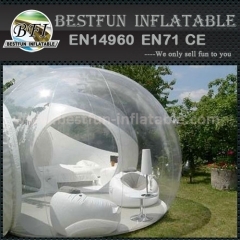 New style customized inflatable bubble tree tent is both suited to spend an unusual night in the nature. 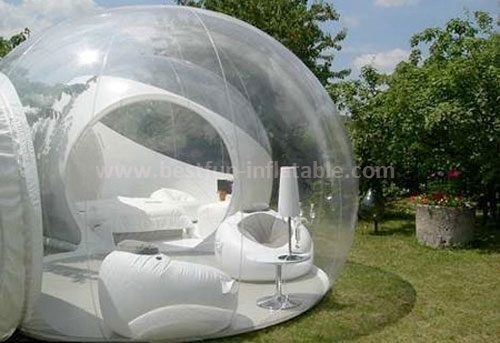 Bubble tents are like an ataraxic catalyst, a place apart where getting rest, breathing and standing back. Thanks to its geometry and its working principle, hosts can benefit from an amazing acoustic effect. Noises coming from the outside are reduced and noises coming from the inside echo towards the sphere´s hub. 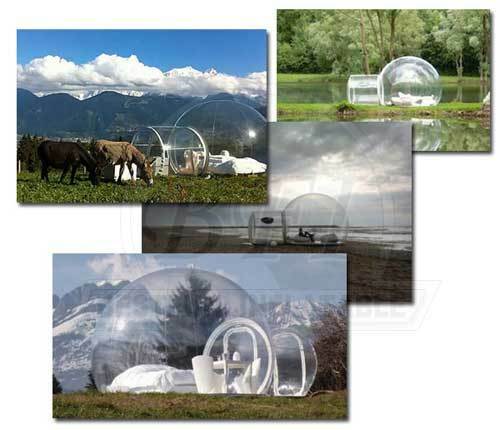 The installation of the bubble tent is both rapid and easy. Thanks to an air renewal system, the hut offers a high comfort level. 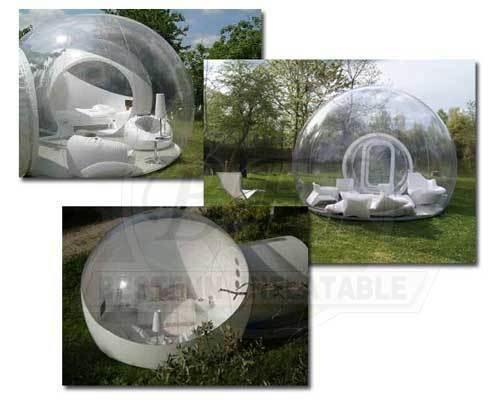 Normally, the bubble hut is a real outdoor/indoor living room which can be decorated as you want, according to your use.